NBC Mayor Michael Regan, NBC Deputy Mayor Sue Heins, John Harris, Unit Commander Marine Rescue Terrey Hills and David Crawford. Photo by Michael Mannington. On Saturday March 30th Marine Rescue Terrey Hills held one of their informative open days for boaters in the local areas to learn about what's available to keep them safe on the water. With updates like the AMSA Notice below, more and more people taking to the water to enjoy their leisure time or taking longer cruises into unfamiliar waters, or simply to just refresh your skills and learn about how to use equipment and learn what Marine Rescue is capable of doing, these Open Days are a great insight into the work being done by these trained volunteers. 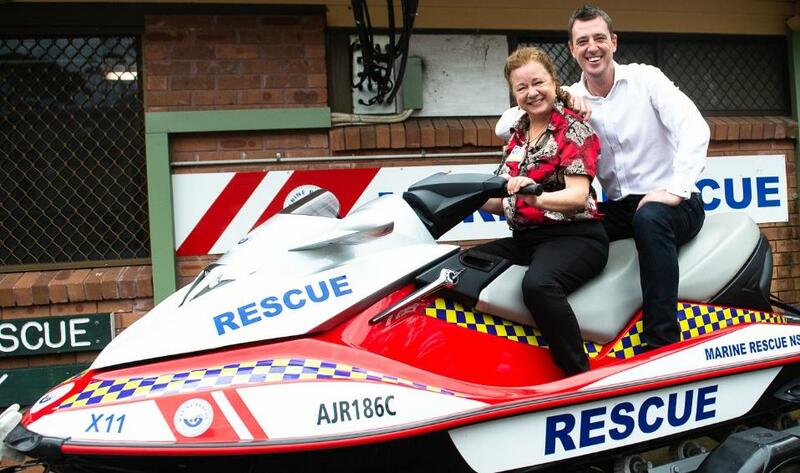 In January the state government pledged an extra $37.6 million for Marine Rescue NSW over the next four years. MP for Pittwater Rob Stokes added that Marine Rescue Cottage Point has also received funding under the NSW Government’s ClubGrants Program for an engine upgrade on its large, offshore rescue vessel. “This is a huge boost for one of our community’s most important volunteer organisations,” Rob Stokes said. “Pittwater’s Marine Rescue units do a fantastic job and cover an incredibly busy area of our state’s waterways. “We’re really fortunate to have such a dedicated and knowledgeable team of volunteers willing to donate their time to help keep our community safe. “Boating is a key part of our community’s lifestyle – but things can go wrong on the water and this is where these volunteers can be absolute angels. For Marine Rescue Terrey Hills 2019 Open Day attendees were treated to various sessions of Marine Rescue operations and activities. The first, entitled 'Help Marine Rescue Keep You Safe' involved information about the MarineRESCUE APP, Voyage Planning and SY Membership and was conducted by Florian Glajcar and Frank Haviland. You can choose for Marine Rescue to track your journey so they know where to start looking in an emergency. The app is a great addition to your marine radio and EPIRB in your safety toolkit. Find out more here. Marine Rescue NSW urges boaters to log on every time they go out on their boats, just so someone responsible knows when you’re due back, and can take appropriate action if needed. If you’re sailing up/down the coast, you should establish a ‘Voyage Plan’ with Marine Rescue and an Offshore Tracking Schedule to check in with other radio bases along the way so they can keep track of your progress until you return or reach your destination in NSW (or hand over to the marine rescue volunteers in the next State). After a very nice lunch participants got involved in 'Safety on Water' was an insight into correct flares use (and keeping these usable) and included a Flare Demo. Life Jackets and their use and upkeep formed part of this activity conducted by the RMS. Marine Rescue Sydney volunteer Pamela Sayers serving lunch to a couple of young guests. John Harris, Unit Commander Marine Rescue Terrey Hills, Graham McNaney, Deputy Unit Commander Marine Rescue Terrey Hills. 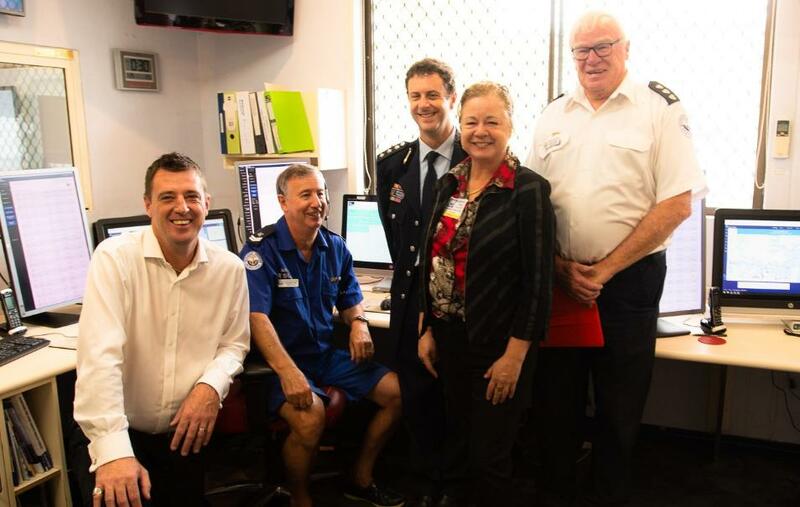 Jason Falinski, Member for Mackellar, along with Mayor Michael Regan and Deputy Mayor Sue Heins were visitors to the open day and clearly made the best of their time to learn as much as they could about this vital local organisation. Our thanks to Marg Chu, Operations Officer, who coordinated the Open Day, for her assistance with this report. Mayor Michael Regan and Deputy Mayor Sue Heins with Marine Rescue Sydney volunteers supporting Return and Earn drinking container recycling. "There was something for young and old and a couple of Marine Rescue members showed off their Interest to let people know we all have another life outside Marine Rescue - Wozza Buzza Bees and Force 7 - the later, a unique classic vehicle; one of ten P76 ever built and released." "Of course as a volunteer organisation, we are always thankful to those who support us. We had over 20 lucky door prizes and they were contributed by Bunnings Belrose, Keysun Laboratories, a family owned company locally based in Warriewood, Pinnaroo Wines, Scrumptious Cakes and Chocolates (a business owned by daughter of one of our volunteers Keith Toose). "Keysun also supplied Zinke Sunscreen, one of the few sun protection brands endorsed by the Cancer Council, for everyone to apply - after all, safety on the water includes sun safety as well. You will see a picture with Mayor Michael Regan and Deputy Mayor Sue Heins standing behind the Zinke stand. Our thanks to all of these great organisations and people for making the day a success." Keysun Zinke for optimal sun protection - Mayor Michael Regan, Deputy Mayor, Sue Heins, John Harris, Unit Commander, Marg Chu. Operations Officer with fellow volunteers Sandy Henry and David Crawford. With more and more people taking to the water, more volunteers are needed to keep them safe. You can join more than 3000 professionally trained volunteers with Marine Rescue NSW (click here for more information). They need people from a range of backgrounds who bring technical, practical, administrative or life skills that contribute to the smooth and efficient operation of a unit, such as accounting, engineering, electrical, plumbing, marketing, teaching or communications knowledge. And just like the government, you can also make a donation to support services like vital emergency operations, boost the funds to provide equipment like automatic defibrillators, or even provide the fuel that keeps these savers of lives on our rivers, estuaries and seas. What is Marine Rescue's motto? 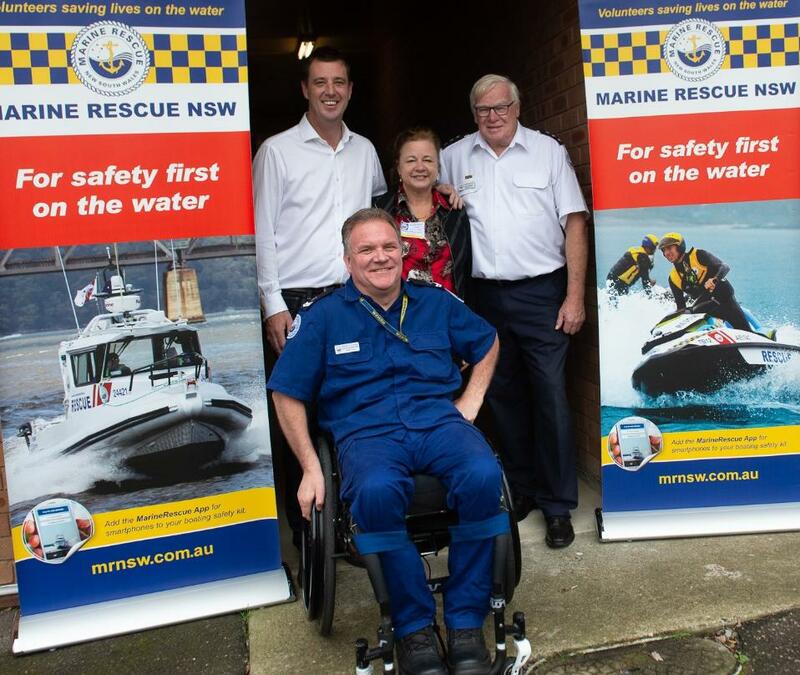 NBC Mayor Michael Regan, Andrew Tory, Mark Colwell, Deputy Unit Commander, State Emergency Services Warringah Pittwater Unit, NBC Deputy Mayor Sue Heins, and John Harris, Unit Commander Marine Rescue Terrey Hills. Photo by Michael Mannington. Photos by Michael Mannington, Community Photography, Report by A J Guesdon, 2019.